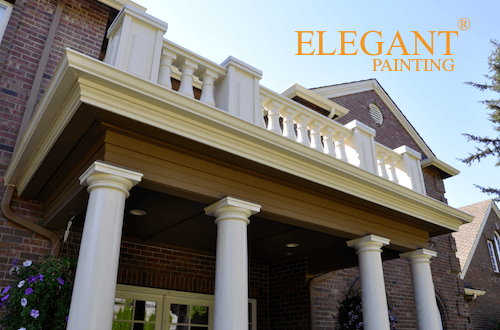 Elegant Painting® is an efficiently operated service company located in Kirkland, Washington. In the last decade, we have combined affordability, and super premium quality craftsmanship, to develop standards that other companies simply cannot match. and our standard comprehensive surface preparation service. Elegant Painting the only local painting company to offer proof of second coat. We start every project by cleaning the exterior, using only biodegradable agents, manufactured for Northwest style homes. masking and cover up, removal of failed previous coatings, surface restoration, and sealant application. We follow Benjamin Moore’s specific application instructions.All of our materials are environmentally friendly, Low VOC, and meet EPA’s current regulations. Elegant Painting is one of very few companies in the Puget sound area to back-roll the entire siding to produce a very even spread, and also add several additional years to an already durable paint job, that is specifically formulated for the Northwest climate. We meticulous painters who guarantee a positive experienceOur level of quality and care goes beyond what our competition can deliver. Give us a call, or use our automated online system to schedule your free estimate now. Thank you for considering Elegant Painting for your painting project.